I’m going to be honest with you. We haven’t used kryptonite in the film. This has of course caused mas hysteria among the comic book community. Well I’m here now to tell why it’s just not needed. Not only is kryptonite not needed, it also wouldn’t make any sense to include it. 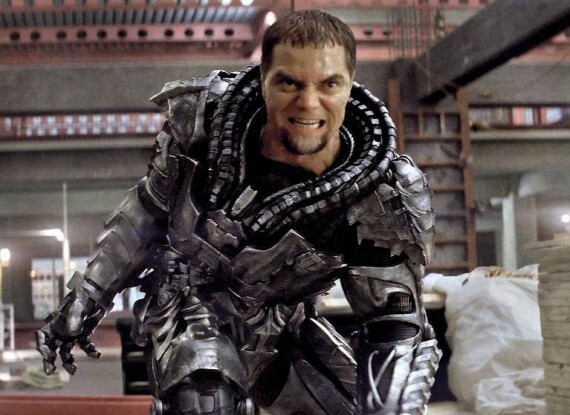 Man of Steel’s only villains are General Zod (played by Michael Shannon, pictured) and Faora (played by Antje Trau) – both of whom are also Kryptonian. Within the context of a superhero film, the only person that would use a superhero’s greatest weakness against them is the villain. But in this case, said weakness would hurt the villain just as much as it hurts the superhero. 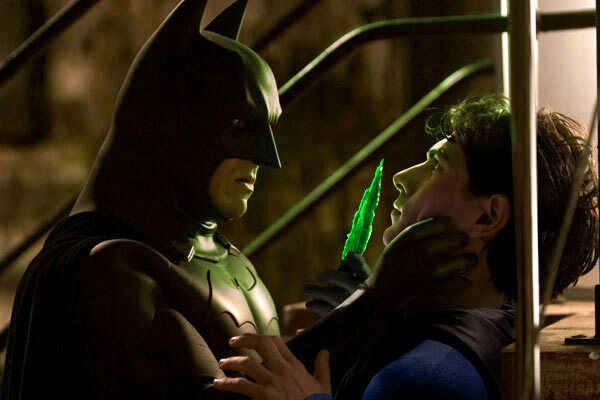 Why would Zod just carry kryptonite around with him, knowing full well it saps all his strength? Basically stating that kryptonite just wouldn’t make sense within the narrative of their film and that instead the film will play on the emotions of the world around him being Superman’s greatest weakness. Expect things like wanting to hug his mother (Diane Lane) but being too afraid he’ll crush her. That kind of emotion. Snyder hasn’t actually expressly stated that they won’t use kryptonite in the film series as a whole, only this first one. If they use a villain like Lex Luthor in any of the sequels then they would have to introduce something like kryptonite just so Luthor stands a chance. There is also the villain Metallo, who’s entire suit and backstory relys on kryptonite. You can clearly see Superman collapsing, seemingly in quite a lot of pain. When I first saw this, I thought it was kryptonite related, but now that we know kriptonite is not in the film I’m not sure. What exactly has happened to him? Are they pulling a “Superman II” and having him temporarily loose his powers? Or maybe General Zod is just too damn powerful for Supes to handle? What ever it is, it’s certainly intriguing. Man of Steel is released worldwide on 14th June 2013. It is directed by Zack Snyder from a screenplay by David S. Goyer, and produced by Christopher Nolan. It stars Henry Cavill as Superman/Kal-El/Clark Kent, Russell Crowe as Jor-El, Michael Shannon as General Zod, Amy Adams as Louis Lane, Kevin Costner as Jonathan Kent, Diane Lane as Martha Kent, Antje Trau as Faora, and Lawrence Fishburne as Perry White. « JJ Abrams to direct Star Wars Episode VII!! !